Pernod Ricard México, S.A. de C.V.
Olmeca Altos 100% Agave Tequila is born from a unique partnership between internationally renowned UK Bartenders Henry Besant and Dre Masso and Olmeca's own Master Distiller Jesús Hernández. 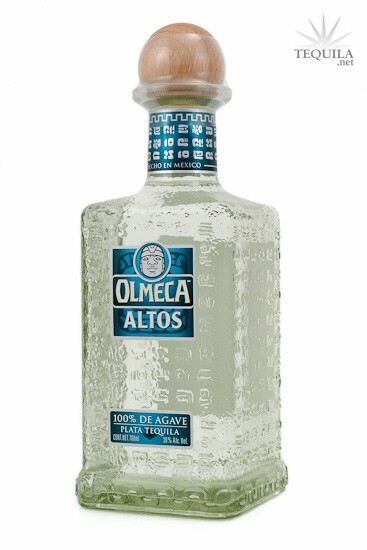 Olmeca Altos Tequila is produced in Los Altos of Jalisco, 2104 metres above sea level, and is created, in part, using the traditional Tahona production process, before being distilled in small copper pot stills. 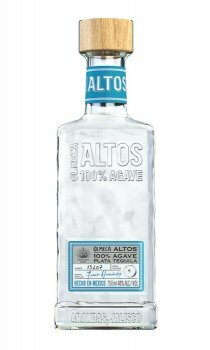 Olmeca Altos from NOM 1111(Pernod Ricard México, S.A. de C.V.) is a rarity in the tequila world. It's a tahona tequila (blended) at a value price. They had a premium 100% tahona brand in Tezon, but that has since stopped production and they are focusing on Olmeca Altos. For $25 or less, this is one of those easy decisions when you know the history and see it on the shelf. Let's hope the taste doesn't make me look dumb(er). Aroma: It's odd to say that something smells like a texture, but this one smells oily. It could be from the fact that I know what this smell often means on the palate. It's got a big agave aroma...really nice with a hint of earth. Initial Taste: A sweet agave entry. A very basic flavor with hints of earth and white pepper, but it's very pure tasting. Body: Medium bodied. Not quite as oily and creamy as the nose told me it might be, but still a good mouth feel and a really solid flavor. Finish: A light sweetness and peppery linger last for about an average amount of time. A "B" grade finish. This is a pretty darn good tequila. Couple with it that it is only $25, it's a great buy. You get some tahona elements and a really pure agave flavor for a bargain price. If you haven't had it and it's available, I highly recommend picking one up. Tasted on 8/09/14 in a Riedel tequila glass. Price: Outstanding in the $20-25 range. This is a very nice “value” tequila if you can find it under $20. It is a nice mixer because it is not too sweet but it is also a good “go to” sipping blanco on those casual nights. It is currently my "House" Blanco. A simple nose of sweet cooked agave with a hint of banana. A bit of spicy citrus hits the tongue in the taste, with a little mint as well, and there is still a decent sweetness present under it all. The body has a medium weight, but rather dry with the citrus flavor still pertinent. A quick heat in the finish - not much lingering, but what is there is a nice sweet and vegetal flavor. There's nothing offensive here, although nothing outstanding either. This is strictly a mixer for me, but it serves that purpose quite well. It's priced as a bargain tequila, and that fits it well - high score in that regard. An attractive square bottle with a sturdy screw-on top and wooden cap, this is built for bar duty. Price and presentation get the overall score to 90, but in reality this is a respectable, high 80s, B+ tequila. 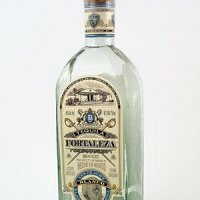 I love tequilas that remember Mexico's past. This tequila is good, but not great. A better mixer than sipper. Aroma: Pine, grass, and citrus. Initial taste: A thin mouth feel. A sweet entry with no bitterness. Initial taste of citrus. Body: A decent highlands agave body. But not very complex. Finish: A semi heated agave lingering of medium duration. Recommended by a friend and I really liked this blanco. A nice Agave presence in the aroma and flavor with some smoke and citrus. Kind of a tropical and earthy thing going on. Very nice and inexpensive.